If you are interested in customizing your car, truck or SUV, why not consider buying one of the many car body kits? You can achieve a stunning transformation for your vehicle with one of these kits. Your ride will not continue to go unnoticed after you customize it with a new spoiler or fenders, etc. Car body kits can improve the looks almost any car and they are really becoming quite the trend these days. Car body kits can serve a practical purpose as well. You can add skirting to your car so that you will be able to control the amount of air that flows underneath. You can get great ground effects this way too. Certain kits can give you that race car look that so many people envy. If you are into wings and spoilers, these are easy to install and are very popular too. Most car body kits offer customized parts that are made from urethane or fiberglass. Fiberglass is the most popular choice for most car enthusiasts because of how easy it is to fit the part to your car to begin with. It is also really easy to repair later on if the aftermarket body parts are ever damaged. Not only that, but you can paint fiberglass too which is definitely another plus. If you choose urethane car body kits, your car will not be damaged during some minor impacts that may happen from time to time. However, once a urethane car body part is damaged, it is very expensive to repair. Wings and spoilers are among the some of the most popular items in these kits. They can serve the practical purpose of reducing the drag and can help increase the traction when accelerating. Some other popular pieces in these auto body kits are customized fenders and hoods, side mirrors and windows and mags. Car body kits are sold by various manufactures to give customers the choice of changing the way their car looks. That is, if the owner does not like the original appearance the vehicle came from the factory with. Even if they do like it, they may still want to add a few small aftermarket parts to make it unique. Most individuals like to mix and match parts. This keeps the car looking unique and not just like another factory car with the same body kit on it. In other words, your car can look like none other if you purchase and install after market car body kits with your personal preferences and choices. Some individuals will have roof scoops and spoilers on their vehicles. Others will have front and rear bumpers and side skirts with ground effects. The flush fit that most car body kits offer really make it hard not to swap out your standard fenders with new exiting ones. It is easy to swap out all the other parts that are available for that matter. Who wouldn’t want to add fog lights or customized bumper covers. Go ahead and express yourself by choosing the best after market body parts that are available to car enthusiasts today. While shopping for car body kits, first make sure you buy the kit that will fit the frame of your car. Some kits are made for certain makes and models. 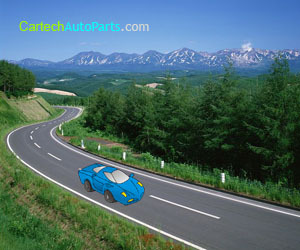 You can find car body kits online and at most custom auto parts stores in your town.